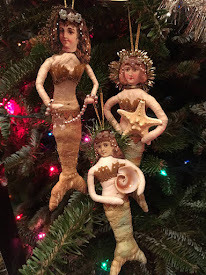 Iva Wilcox, Iva's Creations: There's still time to join the Halloween fun! There's still time to join the Halloween fun! Halloween is a favorite holiday of mine and if I could, I would celebrate every last day of the month! Alas, it is not so. BUT...I have created an online art class featuring a Halloween project that will make you feel like it's Halloween every time you plug it in and light it up! 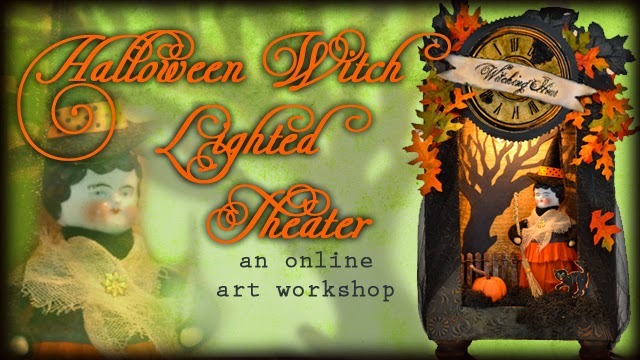 It's a Halloween Witch Lighted Theater class at ArtfulGathering.com. And there's still time to register! The class features seven videos that you can watch 24/7, any day, all day, until August 26. I show you how to create a lighted theater complete with a witch, black cats, rickety fence, spooky tree and autumn leaves. The best part is you can learn the techniques and create lighted theaters for your personal use with any theme! Join us in the haunted house and let's celebrate Halloween! Don't forget to register! !